This is the case with contract signed between distributor AES Eletropaulo and generator AES Tietê, both controled by the American AES Corporation. These are the so-called “billion-dollar’ contracts which, shamefully, have been autorized by ANEEL, the federal energy regulator. Of all the energy consumed by residences supplied by AES Eletropaulo in 2012 (17 million MWh), some 65% originate in a contract between the two companies. In order to distribute this power to the population, AES Eletropaulo pays the generator AES Tietê in the neighborhood of R$ 182.61 per 1,000 KWh. Recall that most of the hydroelectric generating plants of AES Tietê were built 30 years ago, which means its cost of production is now effectively amortized. The hydro generators of the Eletrobras group, which also furnish energy to Eletropaulo, sells the same 1,000 KWh for R$ R$ 32.89, a 550% discount on what is paid to AES Tietê. 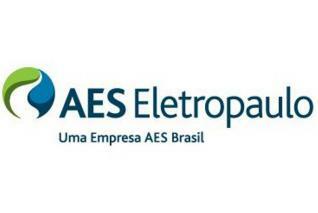 That is to say, AES Eletropaulo pays more for energy from AES Tietê and transfers the cost differential to São Paulo subscribers. In this way, AES Corporation is guaranteed strong profits, which are then passed on to shareholders in the United States. I have decided to alter my blogging practices, publishing shorter notes in greater number, with the occasional long-form translation. Eletropaulo was the target of a parliamentary inquiry in 2008, relating to costs and quality of service, but this proceeding was quickly quashed by the situation in the city legislature. Among others, the dissenting vote of state deputy Antônio Mentor (PT) in the approval of the report issued by CPI of Eletropaulo, in 2008, says the company was “valued at a below-market price, which led to a loss, based on the various offers reviewed by this Commission, of R$ 2,414 billion — the difference between the actual value of the transaction, R$ 2,026 billion , and R$4,44 billion, the latter corresponding to the percentage of shares owned by the state, or 37% of R$ 12 billion — a lesser sum than estimated by legal experts. This dissenting vote was published in the Official Diary of the State Legislature on July 17, 2008. We should also recall that civil suits have been working their way through the courts for the past 15 years — Case Nos. 5694/98, 723/98 and 526/98) against this privatization. In the last of these cases, the defendants named, among others, are Angelo Andrea Matarazzo, André Franco Montoro Filho, David Zylberstjan and Geraldo Alckmin Filho. A technical report produced by the Brazilian Association of Electric Engineers, São Paulo chapter … relates that “the price of replacement parts, estimated based on conservative numbers, is estimated at R$ 21.185 billion, not counting the discount to Consórcio Lightgás Ltda., comprising the French EDF and the American AES, the only consortium present at the auctioning of Eletropaulo. Speaking of Matarazzo, by the way, the Estado de S. Paulo reported on August 8 that the federal police are investigating his role, if any, in an alleged bribery scheme run by Alstom, which paid off members of the state government and the PSDB. According to OESP, two former state secretaries are involved. Matarazzo has been accused of passive corruption — bribe reception — while Jorge Fagali Neto – among other things, the Secretary of Metro Transport in 1994, under Fleury — was indicted for criminal conspiracy, money laundering and tax evasion.